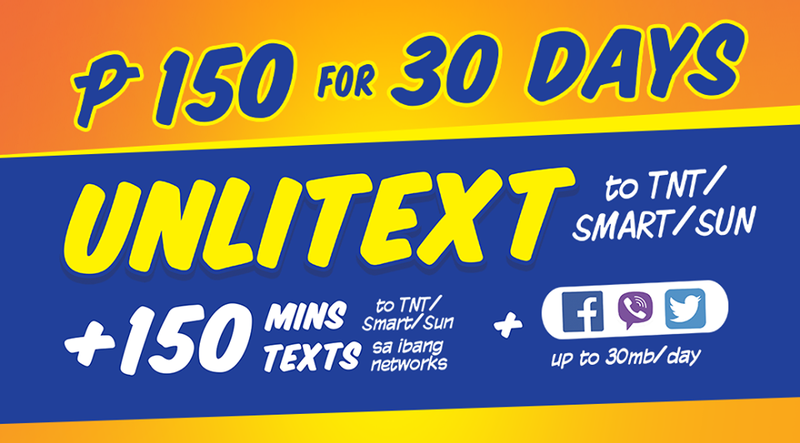 This is by far the cheapest 1 month package from Talk N Text. It consist of calls, texts, an even texts to other networks which is amazing. The 30MB data allowance may not be used on browsing the internet, doing so will charge you P5.00 per 15 minutes, otherwise text POWERAPP ON for load protection. This is by far the best 1 month promo package on TNT this year. 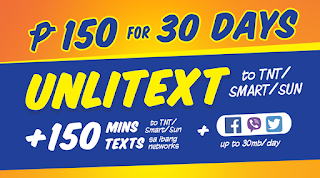 We surely recommend this to TNT users if you want 30 days unli text, call, and texts to all networks, and yeah free internet. This is the the promo of the year! why smart dont have.. i wish smart have this promo also..
Meron din po sa Smart. For only Php250, you can all have this. how to use the 150 mins call? i tried to dial in directly but the operator said I dont have enough balance. ASTIG NA PROMO TO MAY FREE SPAGHETTI W/ DRINKS PA SA JOLLIBEE, PANALO! how to receive bcode for free spaghetti? haven't received it yet.but already registered. paano iclaim ang reward? What to txt ? How to check the rewards gained by loading ur nmber? Bakit wala po yung 30mb na data? Nakaregister naman ako sa utp 150? Reply pls. any update po? available pa ba ito?